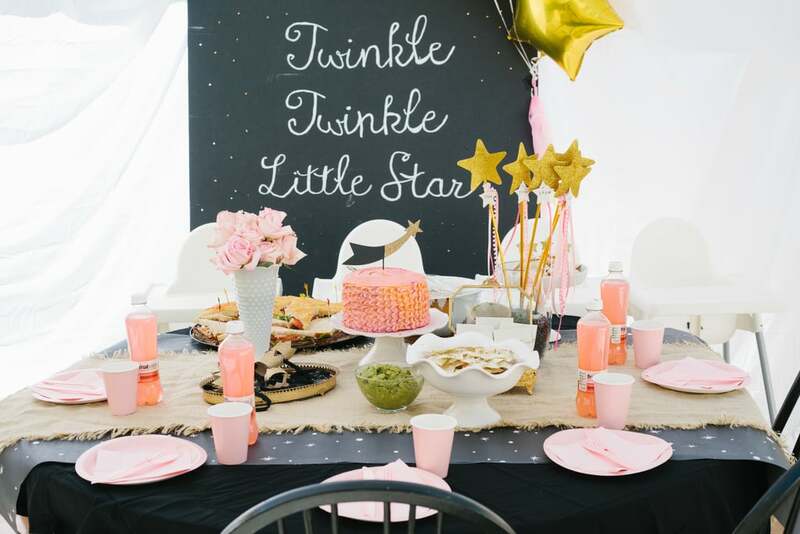 This "twinkle twinkle little star" first birthday bash might just be our ideal party: it looks small and pretty simple to execute, but it has a handful of special details, great style, and a mom who's not afraid to be totally real. 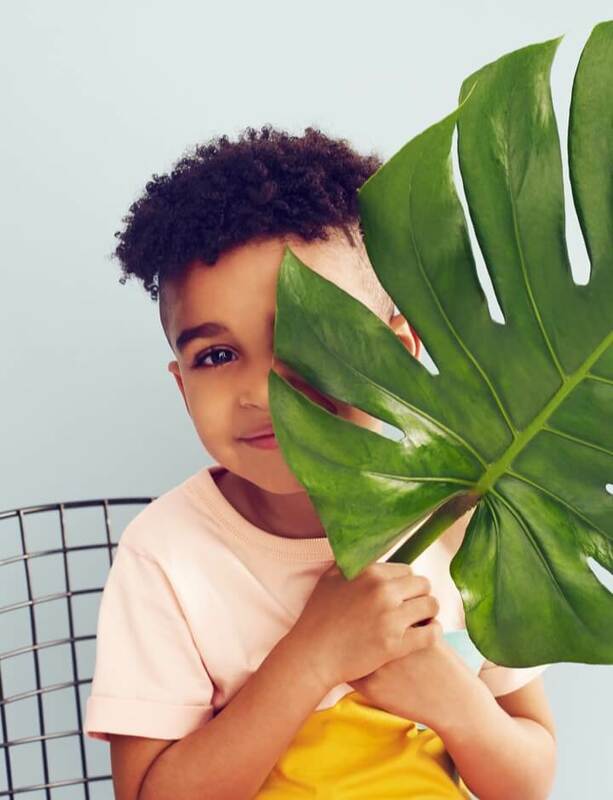 "Although the party was a blast, the set-up was crazy; I mean seriously so many things kept going wrong," says mom, interior designer, and blogger Kirsten Karson. "I had two hours to get everything ready, which seemed like plenty of time, but I probably should have given myself six hours! 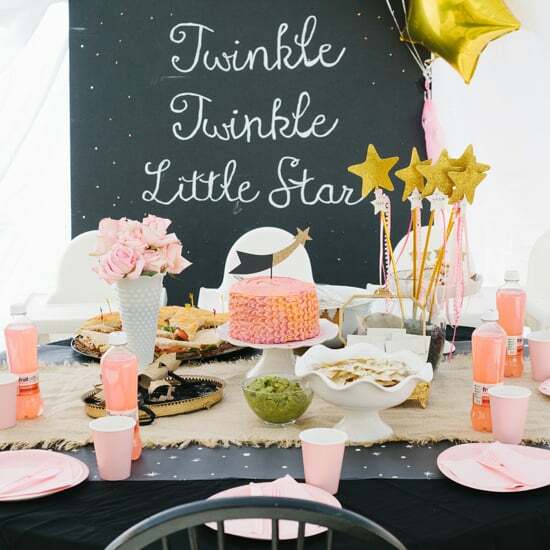 The slight breeze kept making the balloons go crazy, and my twinkle twinkle sign fell on the table at one point almost crashing into the cake! I think it was at that point that I turned to my friend Erin and said, 'let's just bag the whole thing and run away.' Luckily my friends came to the rescue, and we got everything set up just in the nick of the time for the party to start. We may have had sweat pouring down our faces, but we were at least able to spend a good 30 minutes enjoying the party." And what a cute party it was! Keep clicking to check out all the details, which, we must say, look picture-perfect! 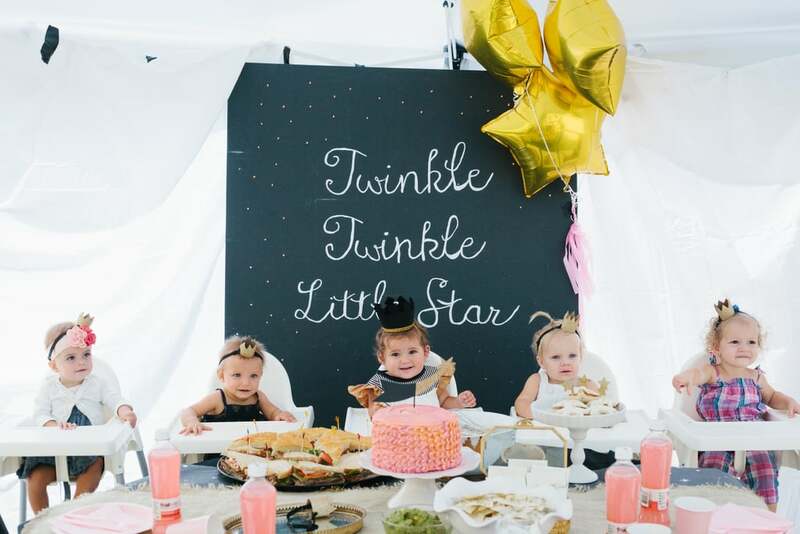 To celebrate her daughter Jane's first birthday, Kirsten set up a birthday lunch for five little ladies and their moms with a twinkle twinle little star theme. 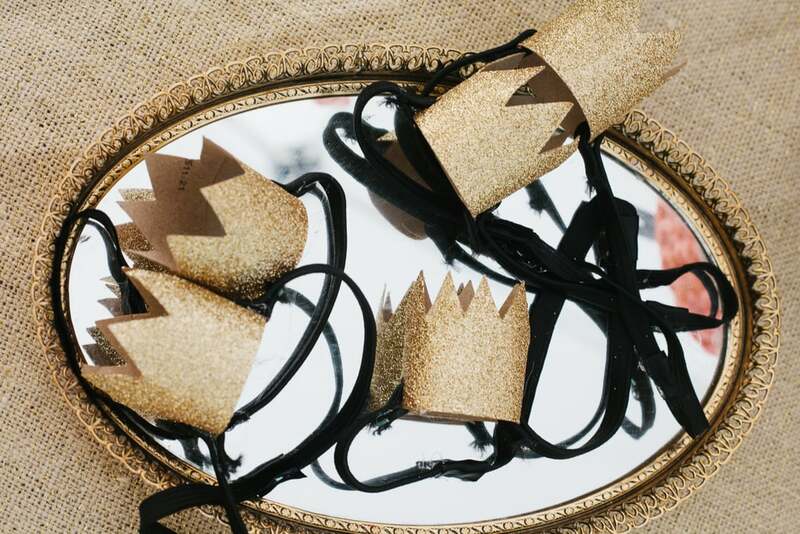 "I made each girl a little gold crown," Kirsten says. "The crowns themselves were 75 cents each from this shop. I attached them to some black elastic headbands that I bought at Walmart. 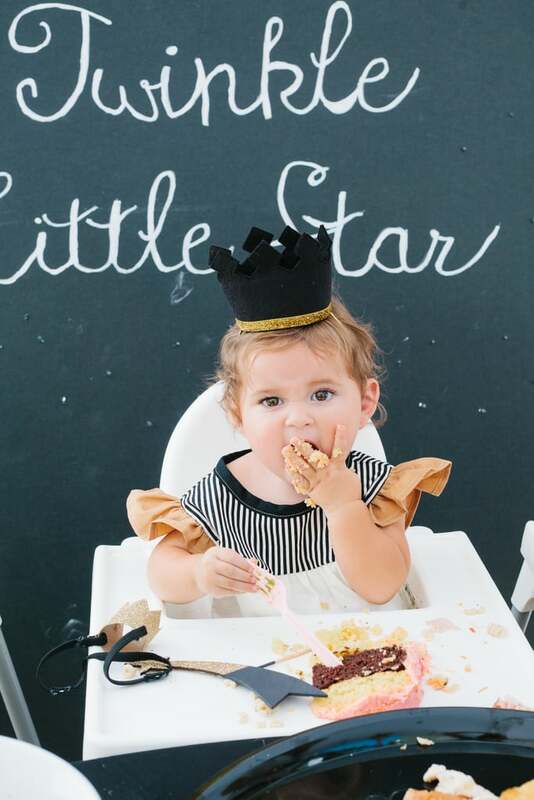 I was really impressed that the babies kept their crowns on for pretty much the entire party!" 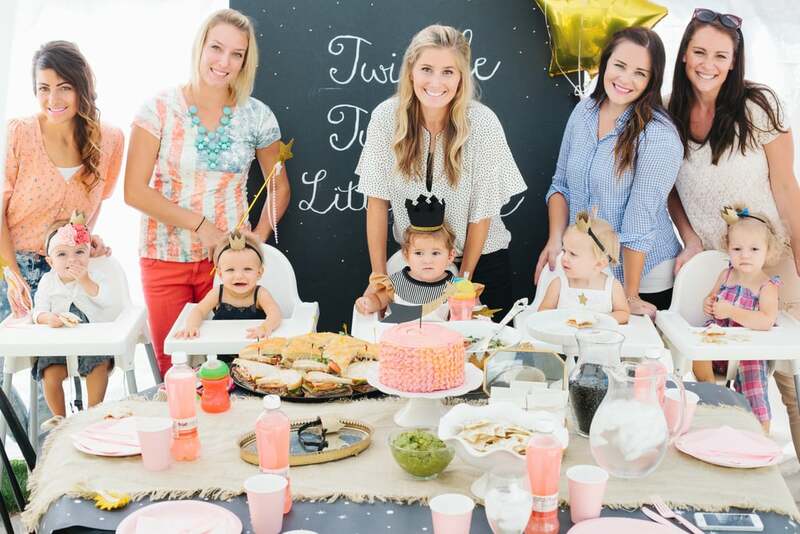 "The party was during lunchtime in the middle of the day, so I decided to make it a special lunch for Jane's baby friends and their mommies," Kirsten says. "The girls were seriously adorable. You could tell they got a kick out of all being together. Almost all of my friends have the Antilop highchair from Ikea; it was fun to have all the girls in matching highchairs!" 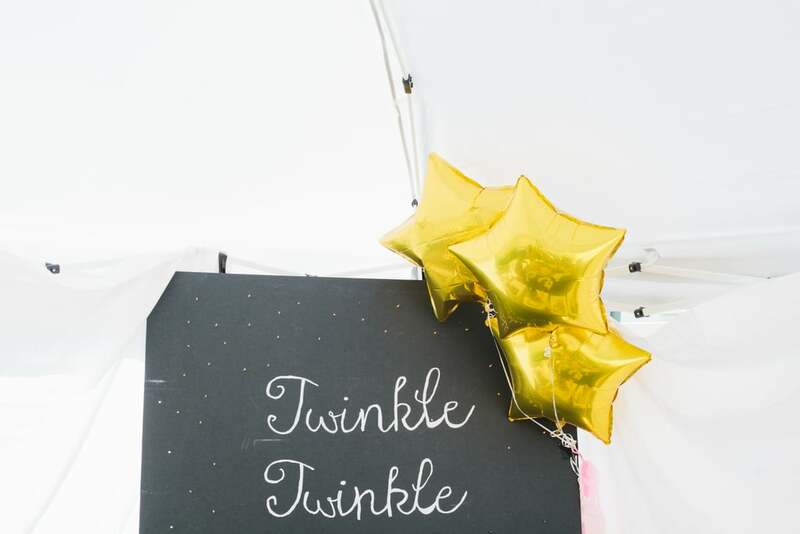 "For the twinkle twinkle poster, I used a huge piece of foam core and just wrote out twinkle twinkle little star with a white-out pen," Kirsten says. "Then I drilled holes in the poster and inserted Christmas lights to create a twinkling effect." "I enlisted the help of my sister to make Jane's cake," Kirsten says. "She did such a great job. 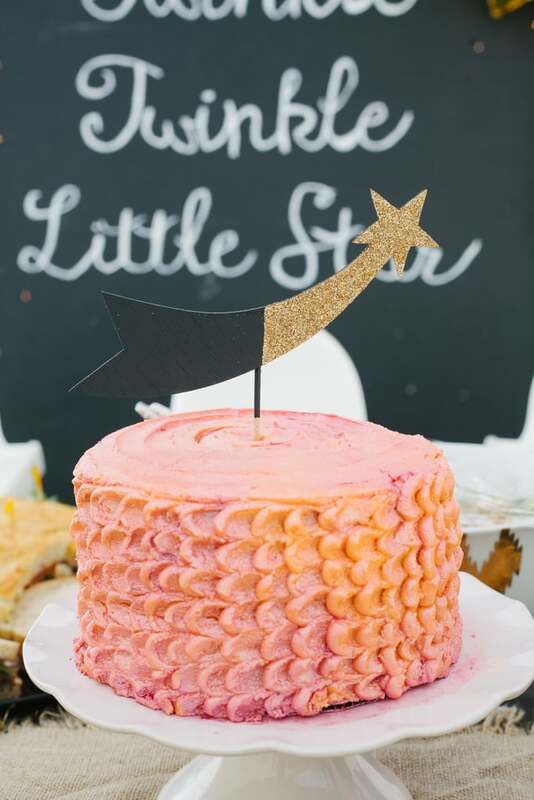 The star cake topper is from Scout Mob." 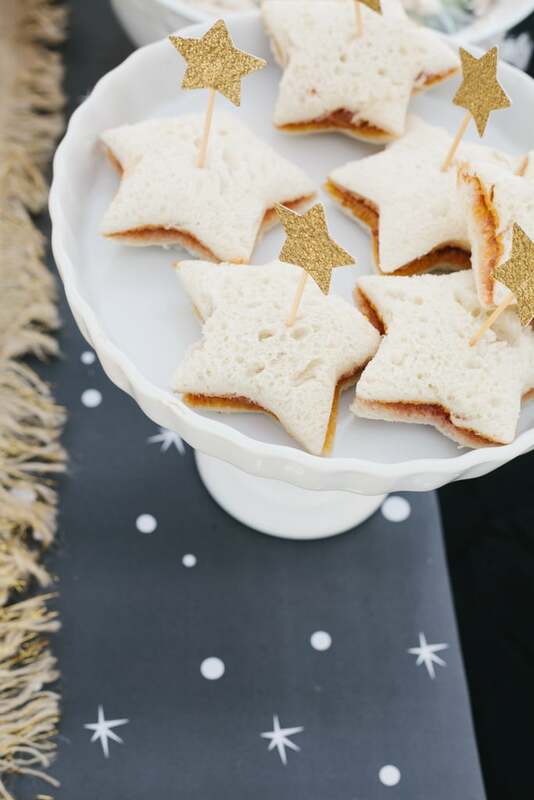 "For the girls, I made little star peanut butter and jelly sandwiches with a cookie cutter," Kirsten says. "I also added star toppers." 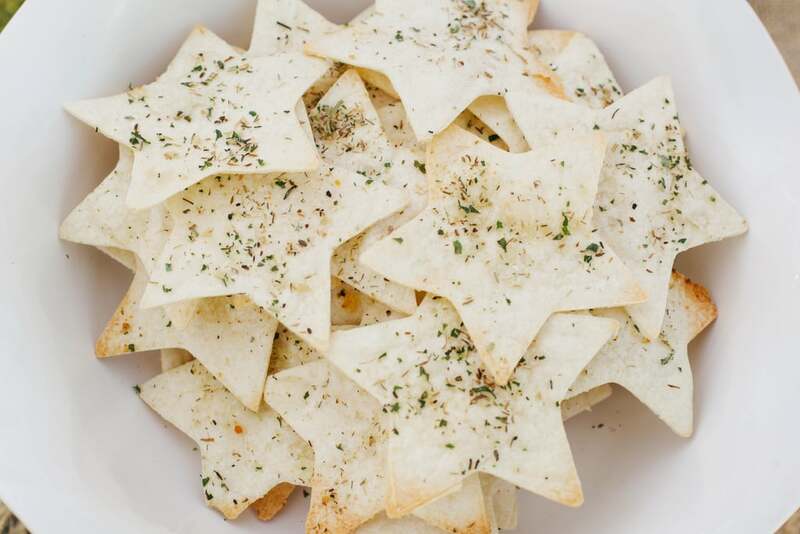 "I made star chips the day before the party, and they turned out so cute!" Kirsten says. Jane wore a special crown from Etsy's Little Blue Olive and a shirt from Swallows Returns. 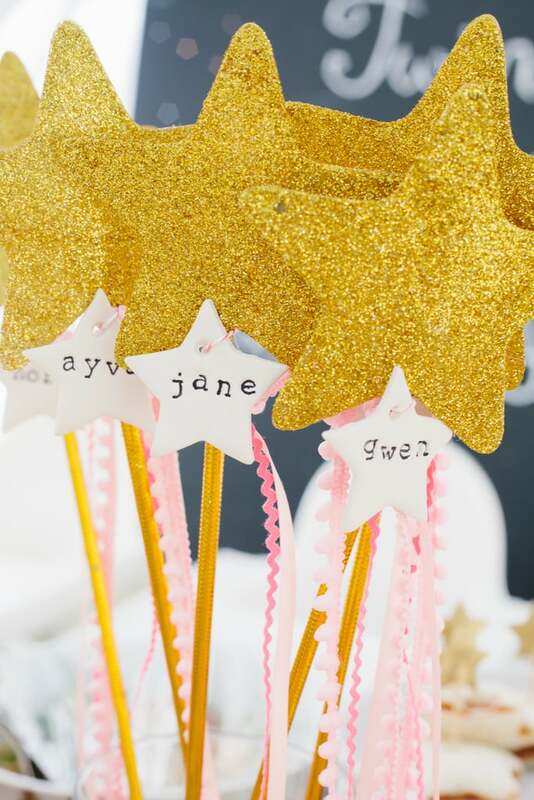 "I bought some gold star wands from Oriental Trading to make little wands for each of the girls," Kirsten says. "I tied some pink ribbon to each wand that I bought at my local craft store. To personalize the wands, I made little clay tags with each girl's name on them. These were made with a ministar cookie cutter and some Sculpey clay. The technique was similar to the one I used here." 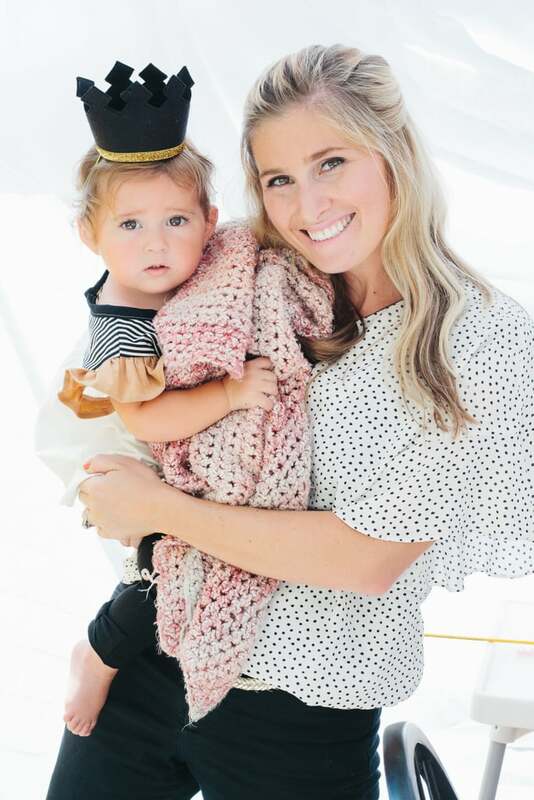 "It was really special to me to get to celebrate not just Jane but all of her little friends," Kirsten says. "It's crazy, but a few of my best friends and I all had baby girls around the same time! I feel like as moms we've been through so much together since our babies were born. This was a time to not only celebrate Jane but all of us!" 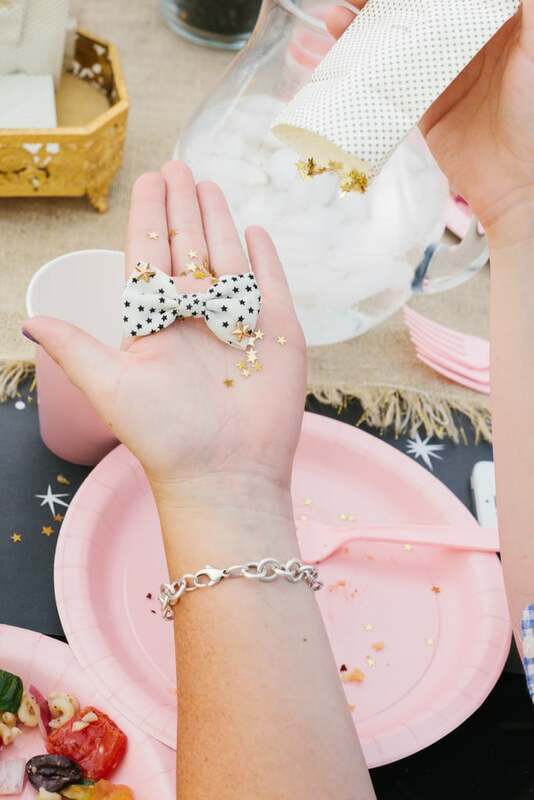 The favors were these cute star bows from Forever 21. Mom and blogger Kirsten with birthday girl Jane. "Every time I throw a cute party like this I promise myself that next time I'm just going to get a cupcake with a candle and call it a day," Kirsten says. "But I really love throwing parties, so no matter how hard I try, I can't help going a little overboard sometimes. Am I the only one who feels this way?"